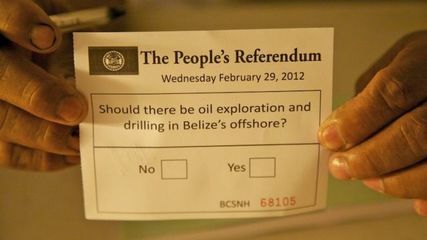 In reaction to the government stubbornness, in 2012 a Popular Referendum in Belice said No to the offshore oil drilling! Since 2010, the government of Belize is granting oil concessions without carrying out any consultation with local communities. An example is the Sarstoon-Temash National Park case, which is affecting Mayan and Garifuna communities. Also in 2010, the government decided to allow offshore oil drilling without consulting local fishermen nor the tourism sector (which are the two economic activities that will possibly be most affected by oil extraction). In 2011, Oceana, an environmental advocacy group dedicated to the protection of the sea around the world, collected 20,000 signatures (5% of the Belizean population) to trigger a national referendum that would allow the public to vote on whether or not to allow offshore oil drilling. According to OCEANA, even in the exploration phase, any accident that might occur could negatively impact the fishing and the tourism industry, which are the main economic activities of Belize. Exploratory drilling can introduce mud into ecosystems, while seismic testing can disrupt dolphin communication and foraging via sonar. The same year, the Belizean Government disqualified Oceana´s initiative by invalidating over 8,000 signatures, thereby stopping the possibility of a official referendum. In response to that, Oceana, the Belize Coalition to Save Our National Heritage and Citizens Organized for Liberty through Action organized a unofficial “People’s Referendum” on the 29th of February 2012, in which 90% of the Belizeans voted against offshore exploration and drilling. This was also the first time in the history of Belize that a popular consultation took place on this issue. 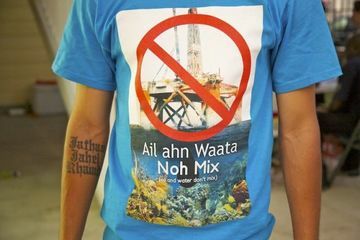 After knowing the results of the consultation, organizations called for a complete moratorium on any offshore oil exploration in Belizean territorial waters. In 2013, Belize’s Supreme Court declared offshore drilling contracts issued by the Government of Belize in 2004 and 2007 invalid, because no Environmental Impact Assessment had been carried out. In 2015, the government of Belize reconsidered initiating offshore drilling. 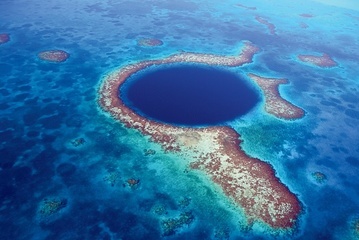 Concessions to be granted will include areas such as the Great Blue Hole, which is part of the Belizean Barrier Reef Reserve System that was declared a UNESCO World Heritage Site in 1996. According to Oceana, possible new regulations – the government issued a new draft for petroleum exploration - would allow oil and gas exploration in 99% of Belize’s territorial waters. However, so far no exploration concession have been issued. Project Details Offshore Drilling Concessions in Belice. No more details were fund. Relevant government actors Ministry of Natural Resources and the Environment (MNRE), Ministry of Energy, Science and Technology and Public Utilities (MESTPU), Belize National Energy (BNE), Supreme Court, Minister of Tourism, Culture and Civil Aviation. Development of Alternatives To continue with the fishing industry and the tourism industry. Why? Explain briefly. In 2012 a Popular Referendum in Belice said No to the offshore oil drilling. As well, in 2013 the Supreme Court of Belize ruled that all offshore oil contracts issued are null and void. And there is a moratoria for the offshore drilling. 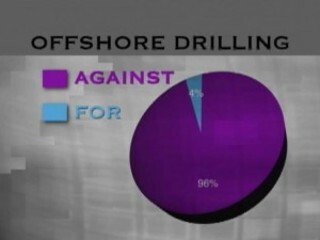 Offshore drilling moratorium remains, but for how long?